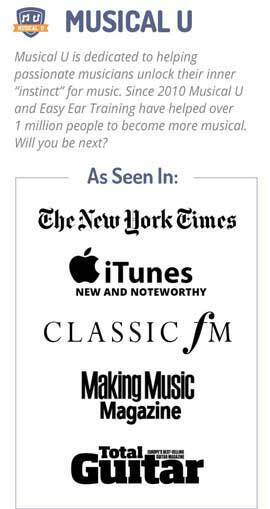 Musical U Roadmaps are a “big picture” overview of a topic in musicality. They show you what’s possible with particular musical skills and the steps that can help you develop those skills yourself. 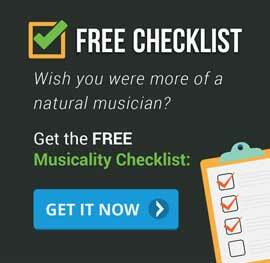 The roadmaps roughly correspond to each of the areas in the Musicality Status Check. Like any map, they are a way to help you plan a route – but they are not themselves a route or a training plan. To cover everything in a roadmap could take a year or more. You might be starting partway along it, and you may or may not want to reach the very end! If you tried to follow it from beginning to end you would almost certainly need to take some detours or diversions along the way. Members use these roadmaps for inspiration and guidance and then create their own personalised training plans with help from the Musical U team. The following topics can also be learned using the modules inside Musical U. We are working on a dedicated Roadmap for each of them, but you can get started today with full personal guidance available from the Musical U team.